$60.00 Ships within 24 hours. 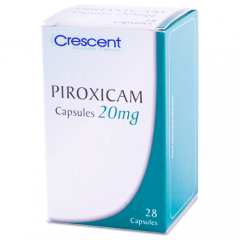 This medicine is a corticosteroid used to prevent and treat the symptoms of perennial and seasonal allergic rhinitis (hay fever). It may also be used to treat other conditions as determined by your doctor. Follow the directions for using this medicine provided by your doctor. This medicine comes with a patient information leaflet. Read it carefully. Ask your doctor, nurse, or pharmacist any questions that you may have about this medicine. This medicine is used in the nose. Before using this medicine the first time, pump it up to 10 times or until a fine mist appears. SHAKE WELL before using a dose. STORE THIS MEDICINE at room temperature below 77 degrees F (25 degrees C), away from heat and light. IF YOU MISS A DOSE OF THIS MEDICINE, use it as soon as possible. If it is much more than 1 hour since your last dose, skip the missed dose and go back to your regular dosing schedule. DO NOT USE THIS MEDICINE if you have had an allergic reaction to it or are allergic to any ingredient in this product. IT MAY TAKE SEVERAL DAYS for this medicine to give full benefit. Continue to use it as directed during this time. DO NOT USE THIS MEDICINE more often or for a longer time than your doctor recommended. 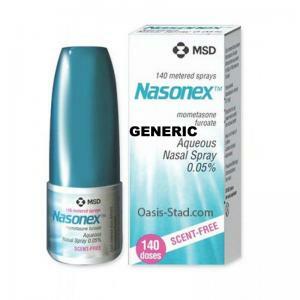 DO NOT USE THIS MEDICINE for other nasal problems. AVOID GETTING THIS MEDICINE IN YOUR EYES. CORTICOSTEROIDS MAY SOMETIMES lower your resistance to infection. However, very little if any of this medicine is absorbed into the blood. Talk with your doctor if you have questions about whether this medicine may affect your ability to fight infection. IF YOU HAVE NOT HAD CHICKENPOX OR MEASLES, avoid contact with anyone who has either of these diseases. CORTICOSTEROIDS MAY AFFECT GROWTH RATE in children and adolescents in some cases. They may need regular growth checks while they use this medicine. Talk with your doctor if you have questions about whether or not this medicine may affect your child's growth. FOR WOMEN: IF YOU PLAN ON BECOMING PREGNANT, discuss with your doctor the benefits and risks of using this medicine during pregnancy. IT IS UNKNOWN IF THIS MEDICINE IS EXCRETED in breast milk. IF YOU ARE OR WILL BE BREAST-FEEDING while you are using this medicine, check with your doctor or pharmacist to discuss the risks to your baby. SIDE EFFECTS that may occur while using this medicine include headache, nose-bleed or pink color to the mucus, sore throat, or burning or irritation inside the nose. If they continue or are bothersome, check with your doctor. If you notice other effects not listed above, contact your doctor, nurse, or pharmacist. If your symptoms do not improve with regular use of this medicine or if they become worse, check with your doctor. ALWAYS HAVE A SPARE CONTAINER available in case the unit malfunctions or is empty. DO NOT SHARE THIS MEDICINE with others for whom it was not prescribed. DO NOT USE THIS MEDICINE for other health conditions. KEEP THIS MEDICINE out of the reach of children. IF YOU WILL BE USING THIS MEDICINE FOR AN EXTENDED PERIOD OF TIME, be sure to obtain necessary refills before your supply runs out.